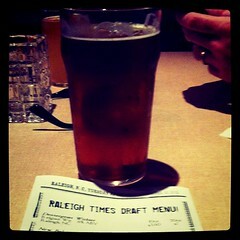 One of Raleigh's most beloved bars, The Raleigh Times, is getting on on the TRW action! For $20, build your own beer flight and pair it with one of their dinner features. They will also be tapping 3 Belgian Ales from Wetten Imports today. It's good evening to try something new at the Times!